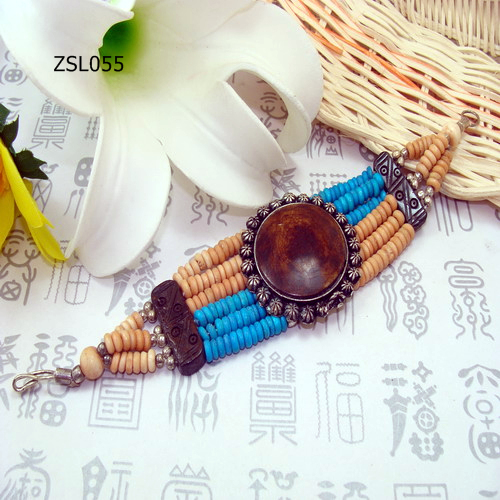 Tibetan Handmade Yakbone Bracelet. 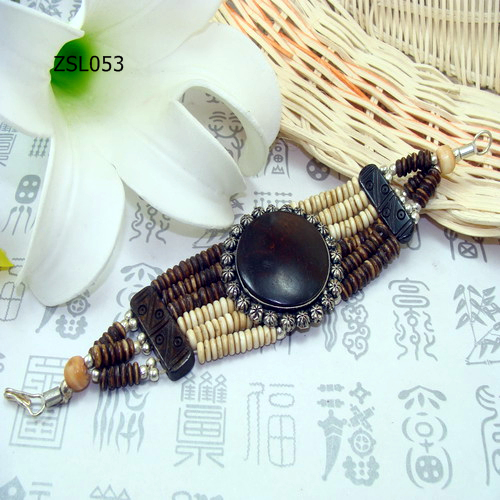 This tibetan beads bracelet was handmade by the Tibetan Craftsmen from created yakbone beads and nickle silver. 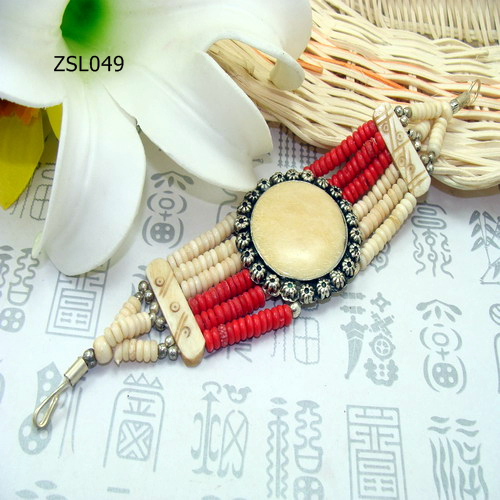 Length: 17cm. Weight: 40g.